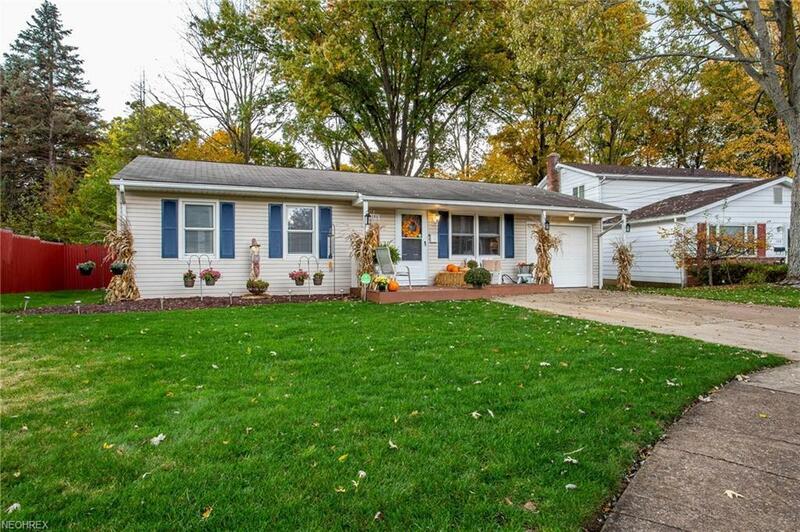 Beautifully updated ranch home on a Cul de Sac with a park like private yard! Welcome to 166 Pinewood Dr where you will do nothing but move in. Wonderful hardwood floors, spacious rooms, storage, fully fenced back yard. Appliances stay and 1 year HMS home warranty is included! Tastefully renovated, a true gem, you will be wowed by everything this home has to offer. The large and out of the way laundry room is a wonderful feature. There is a storage room that doubles as mud room to enter through the garage and not track into the main living space of the home. Updated kitchen and bath are fully functional and nicely sized. The master bedroom has a private half bath. Enjoy the outdoors from your deck or front porch, double wide driveway provide ample parking! Schedule your private showing today!